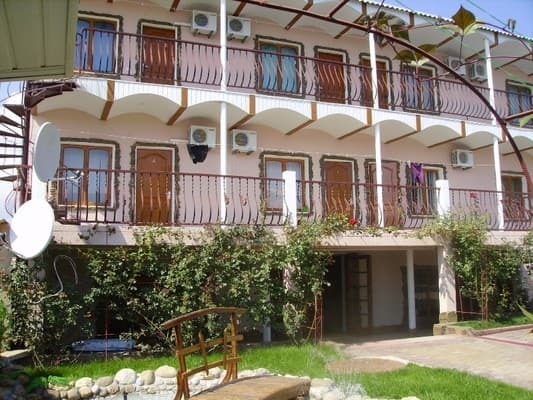 Guest house "Uskut" is located in the Sudak bay on the Black Sea coast. 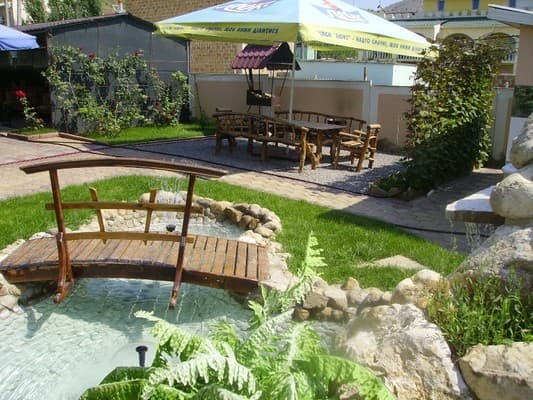 In 12 minutes there is an embankment and a beach, in 15 minutes the Sudak aquapark is located. 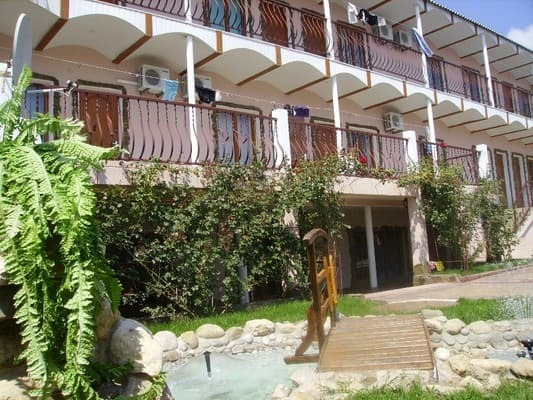 On the territory of the guest house "Uskut" there are two 2-storey buildings. 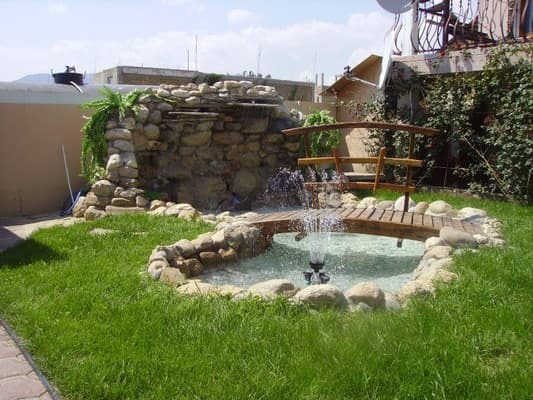 On the territory there is a green cozy courtyard with fountains and bridges, sun loungers and barbecue facilities, pavilions for rest. There is a parking place. In 2012, we started building a swimming pool. Guests are offered 14 rooms with balconies. One-room 2,3,4-bed rooms, as well as large 2-room rooms for up to 6 people. 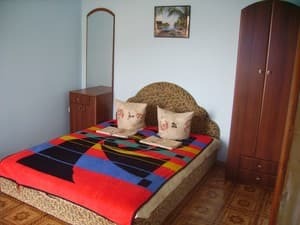 Each room has: a bathroom, air conditioning, modern furniture, beds, TV and refrigerator. PRICES MAY CHANGE, IT IS REQUIRED TO RECEIVE INFORMATION FROM THE OPERATOR. 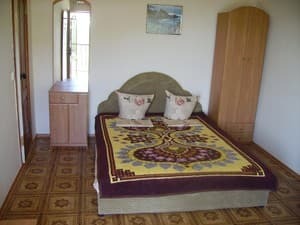 Description of the room: The room has air conditioning, refrigerator, TV, bathroom, double bed + sofa or two folding armchairs. 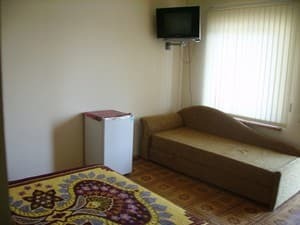 Description of the room: In the room there are two rooms, in the first room there is a sofa-sofa for two people + two folding chairs, a TV set, a refrigerator, air conditioning, furniture. In the second room there is a double bed, a shower-toilet, a wardrobe, a bedside table. Children under 3 years without extra bed - live, free of charge. Children under 10 years old - 50% of the room price + extra. a place. 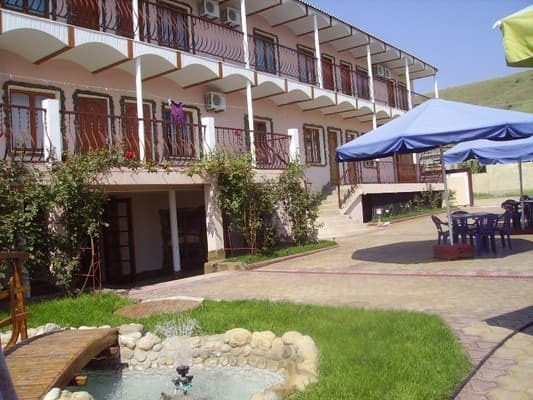 Guest house "Uskut" is located in the Sudak bay on the Black Sea coast. In 12 minutes there is an embankment and a beach, in 15 minutes - the Sudak aquapark. The nearest railway station is in Feodosia. From here you take a bus to Sudak, via Koktebel. Travel time is about 45 minutes. If you go from Simferopol: next to the railway station are auto- and trolleybus stations. From there by bus (traveling time 2 h 30 min) or by shuttle bus for 1 hour 30 min - 2 hours.